We can evaluate your system and recommend the appropriate solutions for you, your family, and your lifestyle. Does your system make noises or have trouble lights on when it shouldn’t? Manage your home security system using your smart phone. Did you move into a home with an existing security system? 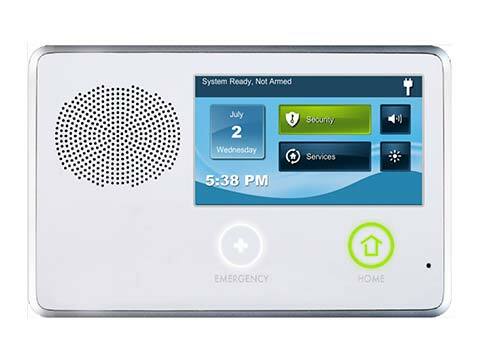 Enhance and modernize your home security today. Most of the questions we receive come from new homeowners acquiring a home with a Ranger system already in the home. We have found many of our customer’s questions are simply “how~to” questions. To that end, we have published the most common questions and simple. straightforward answers. If you don’t ﬁnd the answer to your question, download one of our User Manuals for our most popular equipment installed. IF YOU ARE IN NEED OF FURTHER ASSISTANCE, PLEASE CALL (888) 854-8773. WE ANSWER ALL CALLS, 24/7. Can I sign up for monitoring without an analog phone line? Yes. Customers that do not have a land line have the opportunity to use a monitored cellular system as the primary communication platform for security monitoring to take place. Do I need to register my alarm system with the police department? Yes, to receive assistance from the police department, your security system MUST BE registered with your local police department. It is your responsibility to register with the police department and maintain any permitting fees. If someone cuts my phone lines, will the monitoring center be notified? Not without a backup cellular communication device. Ranger does offer a cellular communication device that sends alarm signals without the need for a conventional phone line. I moved into a pre-owned home with a Ranger/Ranger Technology Solutions security system installed, what is the code? For security reasons Ranger Technology Solutions does not have any security master codes or user codes on file. Only the previous homeowner will have the code(s). In most cases, without the previous code, it is impossible for Ranger to reprogram your security system. You have 3 options to utilize your security system: contact the previous owner for the master code (the system will not be monitored), hire Ranger to install and program a new control panel only (which will still not be monitored), or contact Ranger (888 854-8773) for a security professional to share with you our monitoring packages which will include a new control panel as needed. 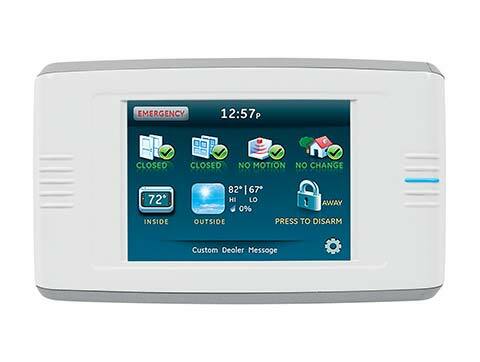 I just bought a newly constructed house with a Ranger Technology Solutions alarm system how do I use it? Call Ranger Technology Solutions (888 854-8773) for a free power-up and demonstration. Would having pets cause problems? No, we have a pet friendly motion detector for pets that weigh less than 60 lbs. If your pet weighs more than 60 lbs , we recommend the use of glass break detectors which Ranger can easily install. How much does it cost for monitoring? Monitoring packages vary based on the type of system best suited to your lifestyle and needs. We can help you determine the right monitoring package for you. Call (888) 854-8773 for an appointment to speak with one of our representatives today. When (how soon) can I get connected to the monitoring center? Typically within 1 to 5 days. A Ranger representative can meet with you to discuss your needs and set up a timeline suitable for you. Call Ranger (888) 854-8773, to speak to one of our representatives today. Is my monitoring service transferable if I move? Yes. It can be transferred to your new home if the new home is in the DFW area. It can also be transferred to the new owner of your current home. My alarm went off accidentally, but I quickly put in the code and shut it off. I expected a call, but no one called. Why not? 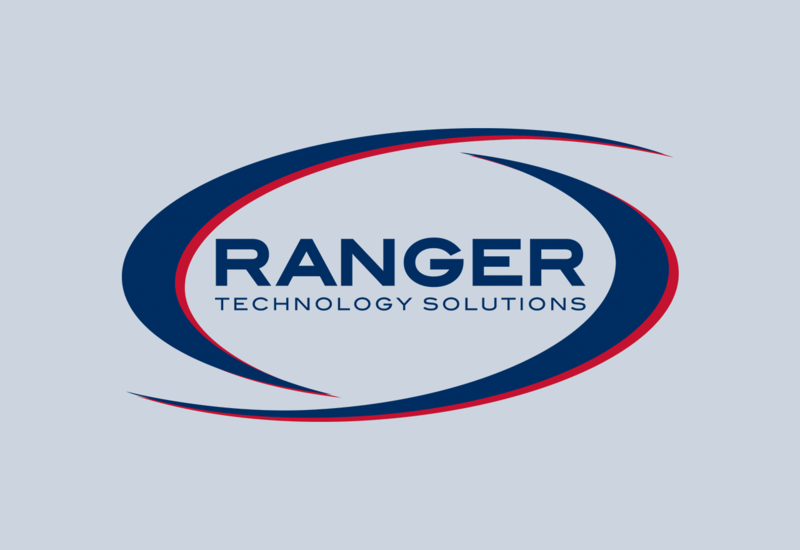 What day/time does Ranger Technology Solutions run service calls? Why is my keypad beeping periodically and/or my trouble light on? To trouble shoot:Press * 2 on the keypad – what zone lights up? Zone 1 – battery back-up is low. Zone 2 – transformer is defective. Zone 3 – telephone trouble. Zone 4 – the system is having trouble communicating. Zone 8 – reset the time and date.Call our service department for all service issues. See below for resetting time and date. How do I reset the time and date on my keypad? How can I make my keypad chime when the doors open? Press * 4 on the keypad – this will enable/ disable the chime feature. If this does not work, call our service department. Press * 5 on the keypad, enter your four digit master code, (40), then your new four digit master code #. My memory light is lit on my keypad, what do I do? Your security system has alarmed since the last time you have armed the system!!! Please cautiously check your home and family (with the proper authorities if necessary). Investigate the cause of the alarm. 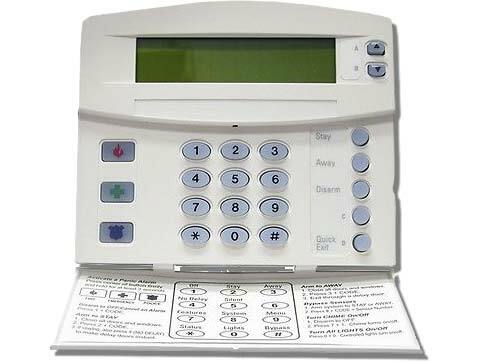 The zone that caused the problem should be designated on the keypad (zone light lit).To turn off the memory light, simply arm and disarm the system by entering your four digit master code.Call (888) 854-8773 for service if needed. If it is a false alarm, the system will need to be serviced to avoid false alarm fines from your police department. Why are my smoke detectors beeping? How do I reset my smoke detectors? If the smoke detectors are beeping and the trouble light on the keypad is not lit, the smoke detectors are most likely not tied into your security system. These smoke detectors would not have been installed by Ranger Technology. Please contact your home builder or electrician.If the trouble light on the security system keypad is lit: Press * 2, if zone 5 is lit then the smoke detector alarmed. The cause of the smoke alarm should be carefully and fully investigated.To reset the smoke detectors press * Trouble light should turn off. If unable to determine the cause of the smoke alarm, please call (888) 854-8773 for service. After replacing an exterior door, why is my keypad showing an open zone? The door you replaced had a security sensor in it. You will need to call our service department to schedule a technician to install a new security sensor in your new door. The service department )(888) 854-8773) can advise you of our rates. Press *1 on the keypad, then the 2 digit zone number i.e. 01, 02, then #. Arm system with your code. Why does my keypad display “not ready”? 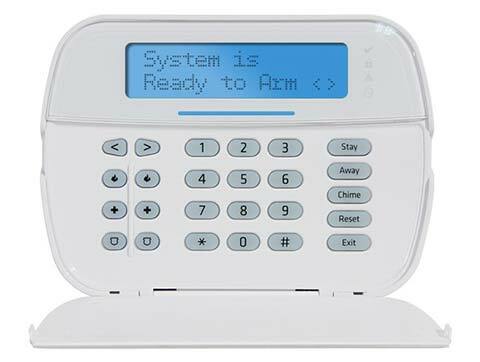 Your keypad is informing you that the alarm system is not ready to turn on (arm). Common reasons for this are that a door or window is not completely closed, a motion detector may be sensing movement, or a previous alarm has not been cleared out of the memory. Correct the condition and the alarm system will be ready to arm. Yes. In case of a power loss, the backup battery will activate to maintain your alarm protection for several hours. How do I reset the date and time on my keypad? How do I “Arm to STAY”? How do I arm the system silently? What is a “Quick Exit”? How do I arm the system with no delay? How do I bypass a zone (sensor)? How do I turn the Chime feature on/off? How do I adjust Touchpad beeps? How do I adjust the Touchpad Display Brightness? How do I check alarm memory? How do I clear alarm memory and reset smoke? How do I review event history? How do I change Regular Codes? 9 + Master Code + 030 + new code + # + #, Use A or B Keys to scroll to desired user slot. What does “Stay” and “Away” alarm mode mean? and interior; it’s used when the premises are unoccupied. Why do I need a “Duress” code? report to the Central Station to initiate a silent alarm call for help. What does the “Home Button/Indicator” do? What does “Force Bypass Sensors” mean? If any sensors are open when the Arm button is pressed, the Control Panel displays the bypass sensor screen. When the system is disarmed, the force bypassed sensors are returned to normal. With one or more perimeter sensors open, press Arm from the Security or Menu Screen. Press Bypass All to force bypass the open sensors (including any open interior sensors). How do I Manually Bypass or Unbypass sensors? Press Menu, Toolbox, then Bypassed sensors. To not bypass a sensor, press the individual name of the sensor. The bypass symbol displays for the manually bypassed sensors. To show only the bypassed sensors, press Show Bypassed Only. What does “Quick Exit in Stay Mode” mean? A programmable option, called Quick Exit may be displayed on the Security Screen while the system is armed in the Stay Mode. Pressing the Quick Exit button starts a timer to allow someone to exit or enter through a sensor‐protected door programmed for delay without having to disarm the entire system. When the delay timer runs out, the system returns to the normal Stay Mode.The Quick Exit option can be turned on or off by your installer, see “Installer Programmed Options” on page 38 to understand the options that have been programmed for your system. How do I use the Keyfob in an emergency? To trigger an emergency alarm using a key fob, press the Away button and Disarm button at the same time for 5 seconds. How do I use the 24 Hour Emergency Buttons? wireless keypads or from portable pendant devices such as the panic button remote. Refer to page 23 of 2GIG Go!Control User Manual for details. How do I set up User Codes on my 2GIG Go!Control system? IMPORTANT: Only the person with the Master User Code can add or change the other User Codes. From the Home Screen, press Security. From the Security Screen, press Menu. From the Menu Screen, press Toolbox. Enter the Master User Code (the factory default setting is 1111). On the Toolbox Screen (1 of 3), press User Management. The Users Management Screen displays 3 users at a time. Use the ↓ and ↑ arrows to scroll through the list. IMPORTANT: User Codes 0000 and 0001 are not permitted. Press one of the Add User buttons. Enter a four‐digit code for the new User Code and press Ok. Enter the Code again to confirm the code and press Ok.
A confirmation screen appears. Press Ok.
How Do I set the “Duress User Code”? On the User Management Screen, press the User 8 (Duress) button. A confirmation screen appears: Press Create Duress User. Enter a four‐digit code for the new Duress User Code and press Ok.
To confirm the Duress User Code, enter the Code again and press Ok. The User 8 edit screen appears. To return to the User Management Screen, press Back. How do I access the ZWave user manual? You can access the 2GIG Go!Control Z-Wave manual by clicking here. How do I access the 2GIG Go!Control manual? You can access the 2GIG Go!Control manual by clicking here.